Who doesn’t like Chameleons?! 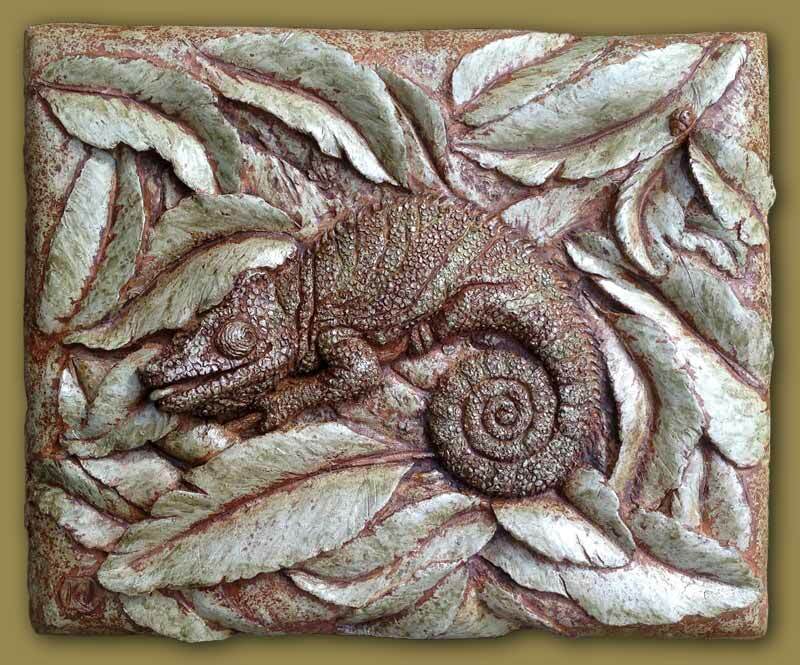 My new garden art piece is a high relief, cast concrete wall hanging, created from my own original clay sculpture. I developed the surface color using a variety of concrete stains to create a rich, and uniquely one of a kind patina. “Mr Chameleon” seems to be experiencing a moment of…Anticipation. The leaf bug (upper right) he is watching probably has other thoughts. Leaf bugs probably taste a lot like chicken! Indoor or outdoor appropriate He measures 11 x14 inches,and has a hanger on the back. Anticipation is available for purchase on my Shop page.